Today EC Montreal announced its May teachers of the month! 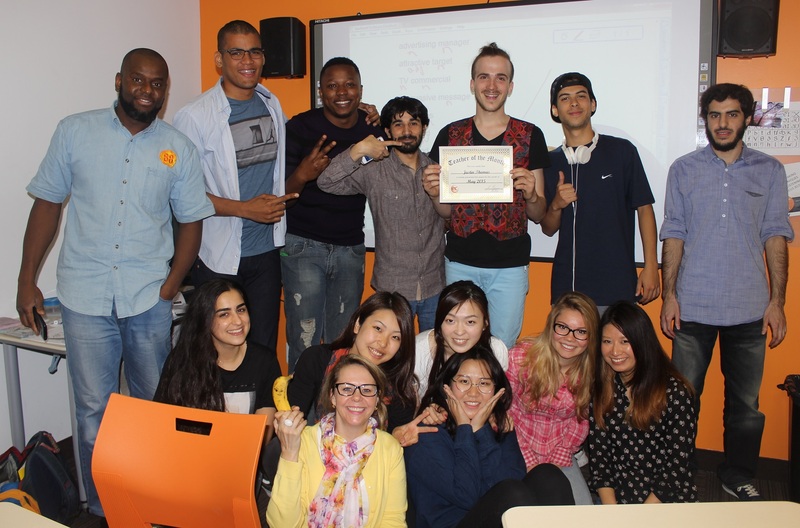 We were happy to surprise our English teacher, Justin. He has recently joined the EC Montreal team. 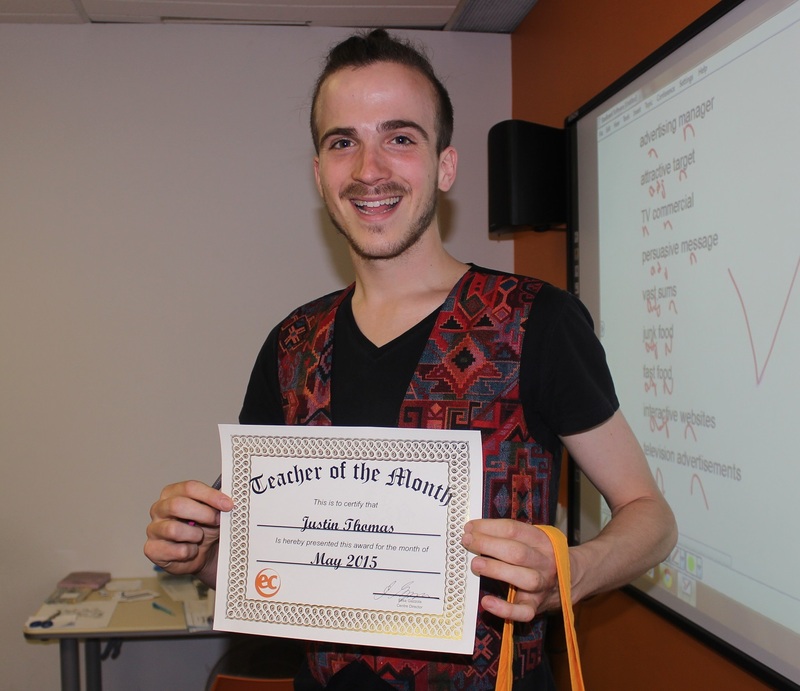 We are delighted that our students have embraced their new teacher and have voted him our English teacher of the month! When we made the announcement in his class the entire class cheered! They were so excited for their teacher! They all took pictures of Justin like he was a celebrity! 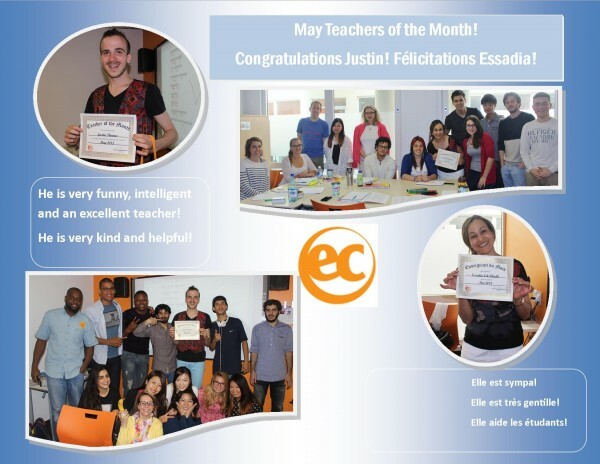 We are also happy to announce that Essadia was named our French teacher of the month! This is Essadia’s third win this year! Her students were so pleased to hear the news and posed proudly for the group picture with their teacher! Many of our students took the time to vote and so many left the most wonderful comments about their favorite teacher! He’s the best! I can understand him more than the others! He makes the class not boring. He’s very kind and helpful! He’s very funny, intelligent and an excellent teacher. He is so kind and his class is always fun! He is very dynamic and explains all doubts. He’s kind and funny. I want to be in his class every day! He is always happy and kind and easy to understand. I think this teacher is very interesting. We don’t feel bored in the class. She is a powerful teacher with great activities! She is sweet and she knows how to teach. She is a funny person, kind; she helps so many times to understand French. He is good at teaching reading, writing, peaking and vocabulary. Elle est très drôle et un bon professeur. She makes her classes very funny! He has a good approach and he’s a good person. Il est toujours motive, explique des choses à nous, et il donne des bons conseils pour mieux apprendre le français. Il est genereux et genial. Ses classes sont très intéressantes et bien planifiées. I like his way of teaching. He has good spirit. He explains the questions well. He is organized and gives us all a lot of information. She’s so passionate and kind. She teaches well and is really patient. She is always energetic and caring. Makes students want to learn more and to be excited about coming to class. Elle est très bonne professeur. Elle est gentil et plus dynamique. Parce qu’elle est très dynamique et très gentille, elle aide les étudiants. Elle est la plus dynamique ! Elle est la meilleure professeur ! 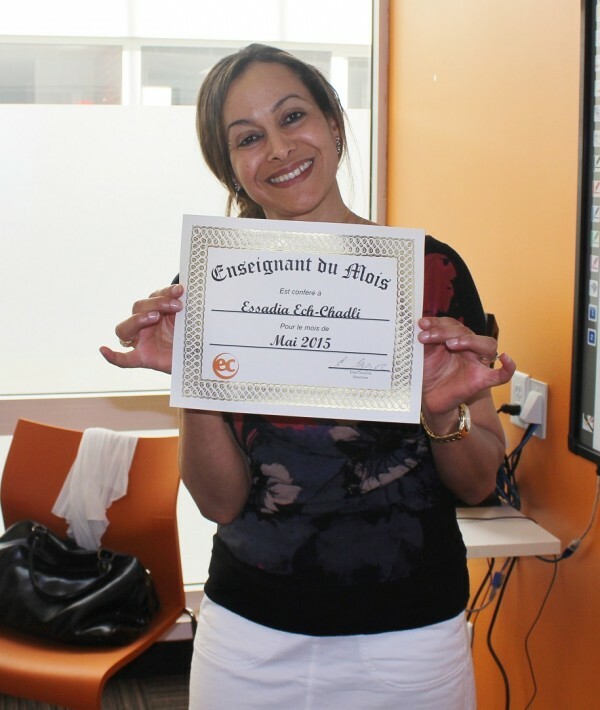 Join our French and English courses in Montreal and take a class with our celebrity teachers ! !